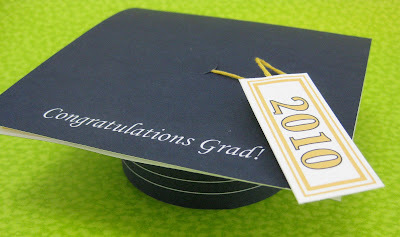 Last year I made a simpler version of this graduation cap card. I've refined it and created a free downloadable pattern. Below I've shown the steps to make it. Materials: Craft Knife, Scissors, Glue, 3 Inches of Embroidery Floss. Pattern Printed on White 8.5 by 11 Card Stock. 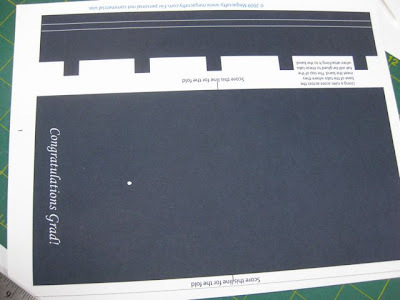 Start by printing out the pattern sheets on white card stock. 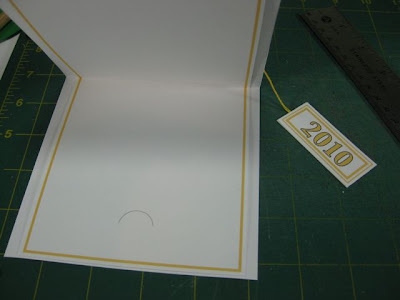 Then score across the middle of the cap, inside card, and tag with the backside of a craft knife or a bone folder. 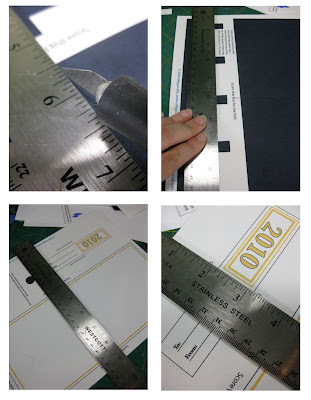 You'll also need to score where each tab meets the base of the hat band (this is shown in the top right photo below). After scoring, cut out all the pieces with a craft knife by following the black outlines for each piece. Make a hole in the top of the cap with a hole punch or a needle tool. There's a white spot indicating where to punch the hole. 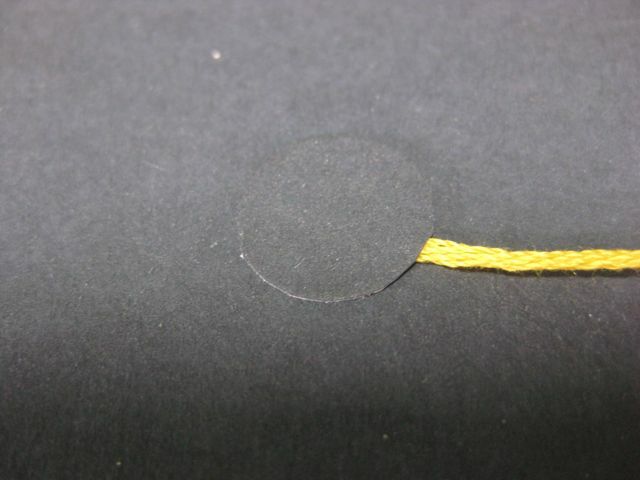 The next step is to fold the tabs on the hat band and glue the ends together to form a ring. And set the band aside to dry. 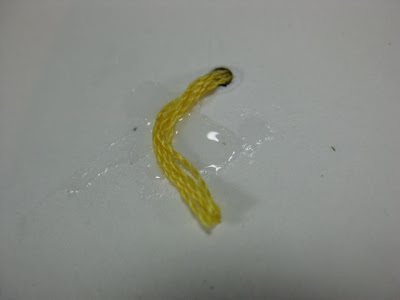 Now it's time to glue the embroidery floss to the top of the cap. Thread one end through the hole from the outside and glue it in place on the inside (this will get covered up by the card insert- so don't worry about being neat). 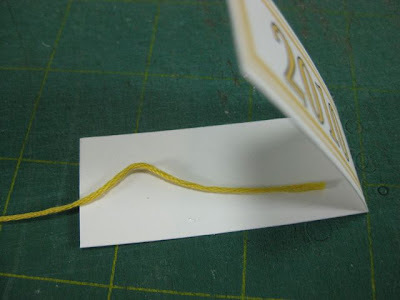 Trim the thread to the desired length and sandwich it between the tag. Glueing the tag closed and the thread inside at the same time. If you'd like your cap to hold a gift card or money use your craft knife to cut along the semicircle marked on the card insert. 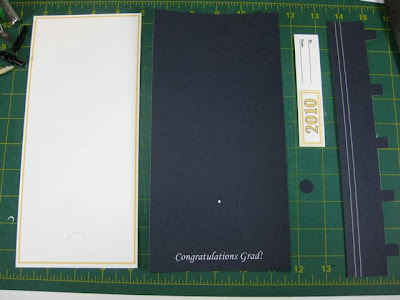 Fold the inset card and the top of the cap along the scored lines. 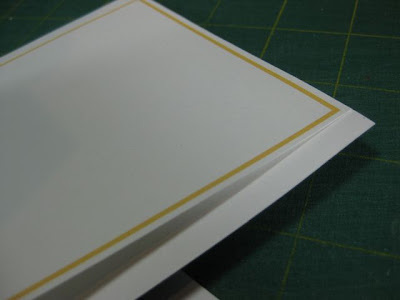 Match up the folds and glue the top of the insert card to the top of the cap (this is the side of the cap that has the tag attached), the insert will cover up the hole. Glue only the corners at the bottom of the insert card. 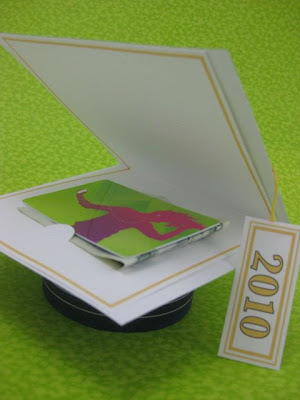 Using just a small amount of glue on the bottom will allow the card to flex neatly when folded. i=It will also let you place a gift card or money in the tab easily because you can slide your finder under the back side of the insert card and push the semicircle up a little. 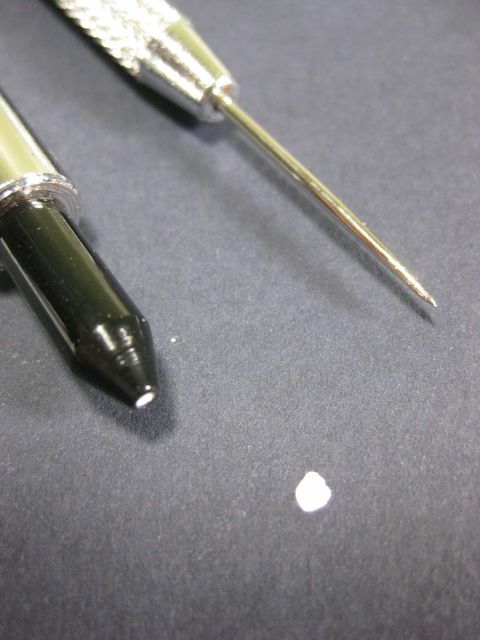 While the top of the cap dries, add glue to the tabs along the band and glue the top and bottom of the cap together. 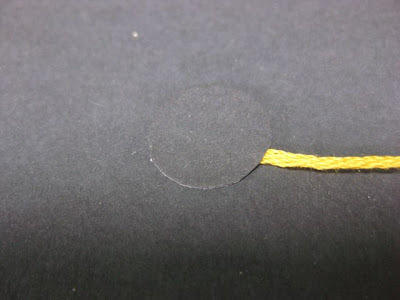 Last- glue the dot over the hole for the embroidery thread to finish off the top of the hat. 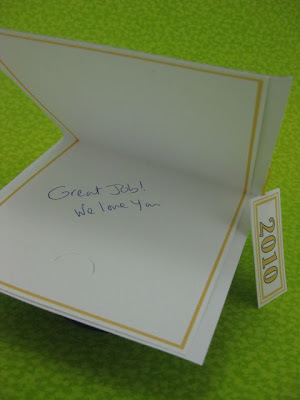 You can write a note, slide in a gift card or money if you'd like, then I like to add a tiny drop of glue to close the card and hold it together tightly until the grad opens it. This is my very first pattern- So if you make this card I'd love to know how you liked it or if you have any suggestions on improving the pattern. Thanks! Jane I'm glad I this might come in handy for your graduation party rounds. Congratulations to you son! What a neat idea! 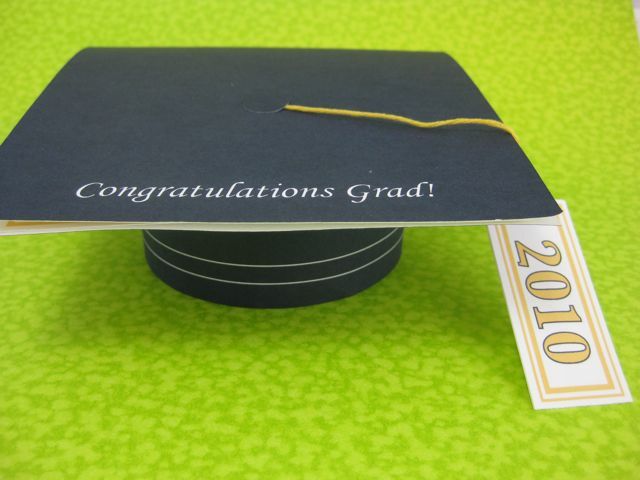 I will definately be making a few of these for the grads in our life including our son who is garduating from high school in May. I am thinking of making this his guest book for the open house??? Oh, BTW, is it possible to have the year tag say 2011? These are so cute! Thanks for sharing the free pattern! These are adorable! I would love to share them with my FB fans! Thanks!